For more information or to schedule an appointment with our Traverse City chiropractor, call 231-421-3968 today! Providing integrated chiropractic care for the treatment of injuries of the musculoskeletal system. Using evidence-based treatment protocols to deliver exceptional patient care without bias. 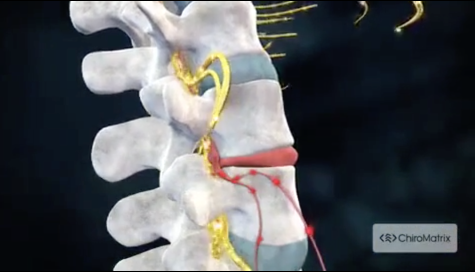 Treating the root cause of your symptoms to alleviate your pain associated with motor vehicle accidents, work place injuries, low back pain, sports injuries, whiplash, and joint pain. Now accepting new patients. walk-ins welcome during all business hours. Appointments available 7 days a week earlier and later than normal business hours depending on your individual need. Call 231-421-3968 to schedule your consultation today!! Dr. Donald Funk is a chiropractor serving Traverse City and the surrounding area. Our chiropractor and the rest of the welcoming team at Structure & Function Chiropractic and Rehab are committed to providing chiropractic solutions to address your unique needs, whether you are experiencing back pain, neck pain, headaches, or even muscular tightness and tension. You may be searching for pain relief after an accident, experiencing an injury, or if you suffer from a specific condition like chronic back pain or a spinal condition. Even if you're looking to improve your overall health, our chiropractor can help you attain your everyday wellness goals! Visit our testimonials page to find out what our patients are saying about our Traverse City chiropractor and our chiropractic care plans. At your first visit to Structure & Function Chiropractic and Rehab, Dr. Donald Funk will explain how chiropractic care works and give you a full evaluation to see if our chiropractic solutions are a good fit to address your needs. If there is a good fit, we can customize a plan of chiropractic care for your condition and health goals. If you have not been to a chiropractor before and want to find out more, please contact us or call 231-421-3968 to receive the answers to your questions from our experienced team. We also welcome referrals, so we invite you to share our chiropractic and wellness information with your friends and loved ones. A Traverse City Chiropractic winner of the 2015 Patients' Choice Awards. Living an active life Requires optimal health and wellness. Understanding this at a young age, Dr. Funk began to search for solutions to get the most out of both his athletic career and personal life. "Dr. Don is the best! My neck and back feel great! I have been able to increase my range of motion and strength for fitness and lifting activities. I highly recommend structure and function to help you achieve you health, wellness and fitness goals"